This model is nice . It has a key for the wench and the hook can be moved up or down. The hook does not have a moving pulley, It only has an eye hole at the top for a single knot. The outriggers do not hold the wheels off the ground and no spreader plates are included. 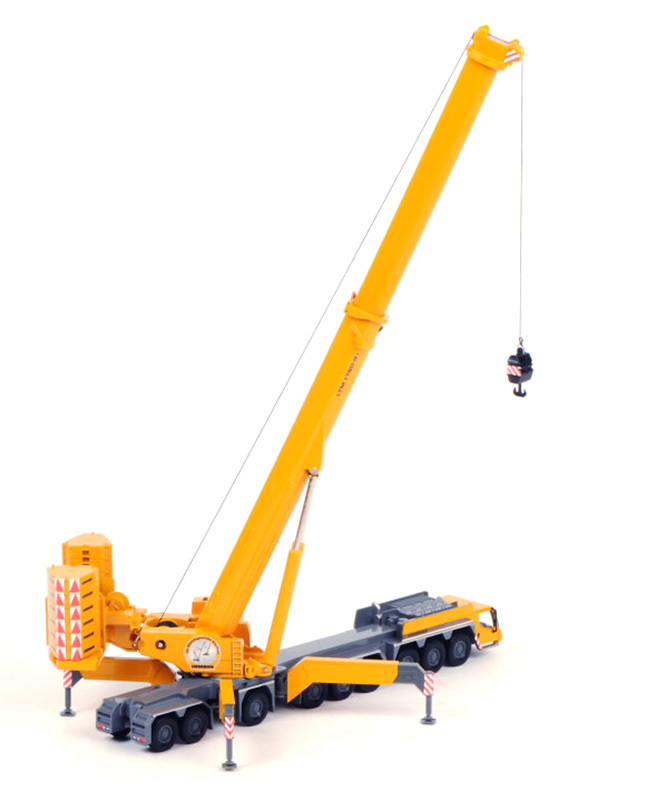 The model weight is good and the boom stays in position. 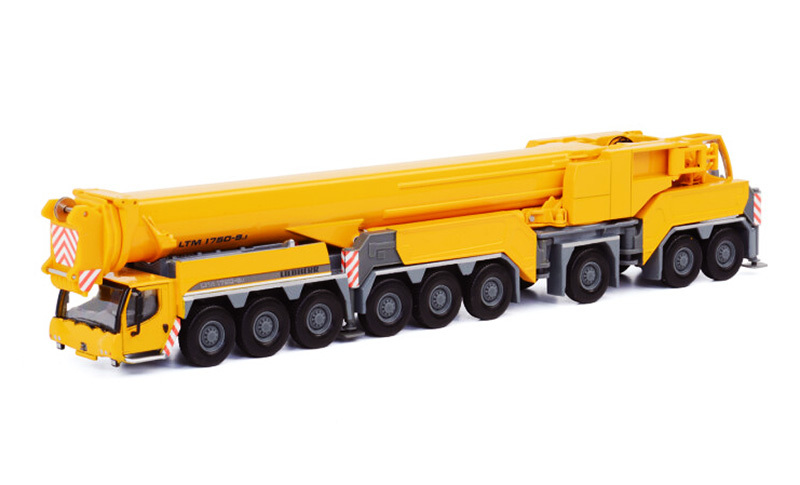 It is a good model and with good quality, it has a reasonable good size (extended) even considering the 1:87 scale. The detail is not that much but to be fairly it is because of the scale. Nevertheless; it's a great option for the price. 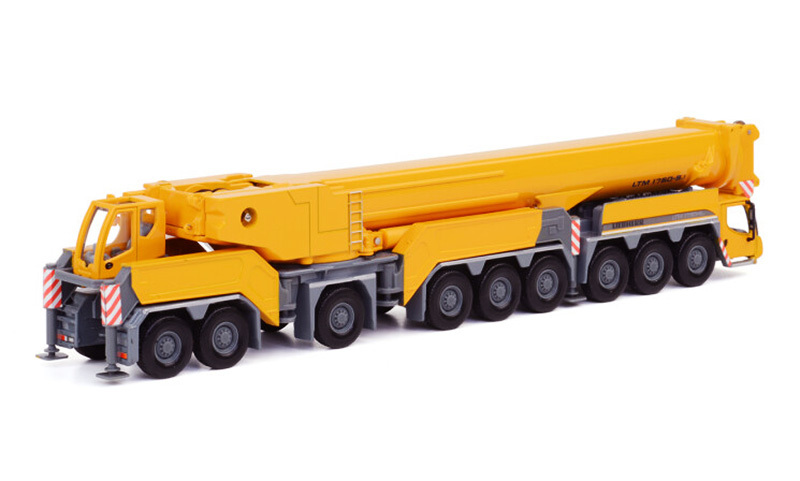 It's a big crane, but it doesn't have a long boom. Just for heavy lifting.